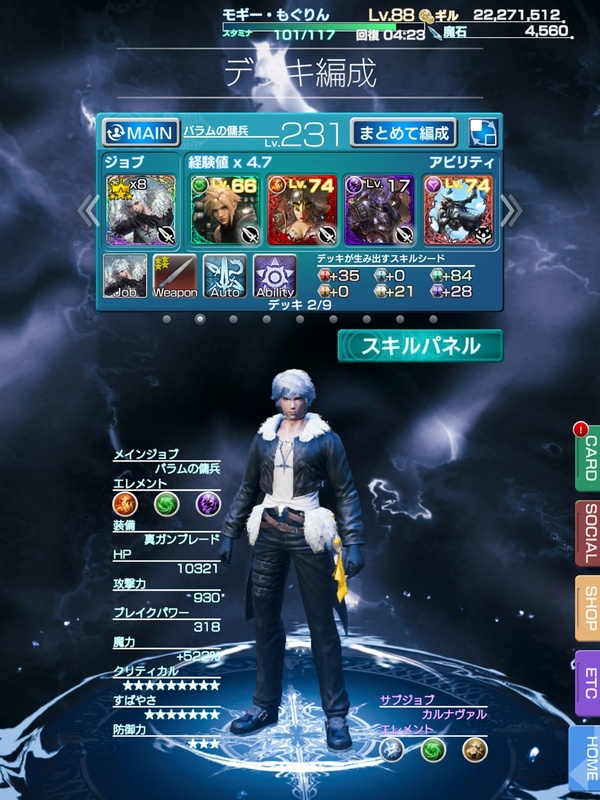 Mobius Final Fantasy – Squall Job Get! I’m pretty happy and surprised I drew this job card because I have never managed to get an event-only job before. ^^ Truthfully, I wanted the creepy Tonberry more but this one is pretty awesome! It’s got high attack power, a crazy Critical rating, and is decent in every other category. Only low point I can see is the Break Power. The Ultimate Attack is super destructive, capable of dishing out MAXIMUM damage (999,999 HP) on a single enemy ! The stats will only get higher as the Dark card levels up too. This is just an example of what they look like with a mix of 4-star and 5-star plus a maxed out Gunblade. Heck, you can see it in this video I recorded of a set of battles in the Gigantuar area. It turns out this job is a superb choice for the region! 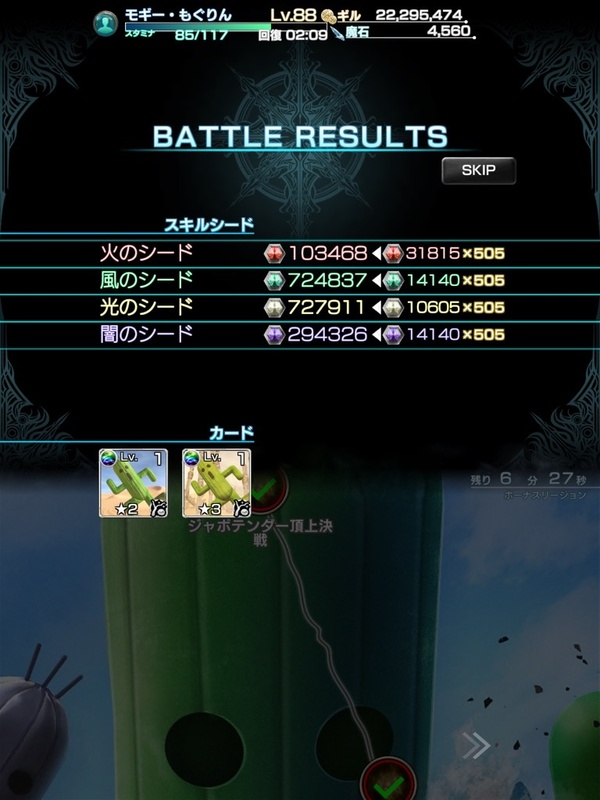 This is a screencap from the green Gigantuar area. So many seeds! I’m still stuck on 120-130 by now…but yes I agreed, squall is very destructive, bad at breaking but who need that when the actual attack is already high? Yeah, I was forever glued to my Crimson Lord and only ever managed to get a score of 5 million once with it. 😦 I think the Tonberry and Samurai would work well in this bonus region though since their Ultimates have high attack power as well. Also got this card yesterday too. This event seems to have decent rates for that job card. Been a great month for this and judge card and balamb card. The only sad part is it will it harder for me to leave this game for the west. However I don’t know if I will.